The Phillies have reportedly shown interest in third baseman Mike Moustakas, who could be a fallback signing if they don’t win the battle for fellow free agent Manny Machado. But now, unless the Phillies miss out on both Machado and free-agent outfielder Bryce Harper, the chances of Moustakas joining the team appear especially slim. If Philadelphia signs Harper over Machado, “it seems unlikely” the club would also add Moustakas, Todd Zolecki of MLB.com writes. Rather, the Phillies would probably be content with a revamped lineup that would include Harper and other high-profile newcomers in J.T. Realmuto, Jean Segura and Andrew McCutchen, Zolecki posits. In that scenario, Maikel Franco – who, at least offensively, was similar to Moustakas in 2018 – and Scott Kingery would be their top options at third base. The Marlins intend to strengthen their bullpen from outside in the coming days, president of baseball operations Michael Hill told Barry Jackson of the Miami Herald and other reporters Saturday. “Hopefully, we’ll get that taken care of before pitchers take the field [on Wednesday],” said Hill, who wants a “veteran bullpen piece to help with” the unit’s younger pitchers. There’s still a good amount of familiar free-agent relievers the low-payroll Marlins should be able to afford as they seek to bolster a relief unit that was among the majors’ worst in 2018. Outfielder Michael Brantley accepted Houston’s two-year, $32MM back in December, but the Braves came “very close” to matching the Astros’ offer, Mark Bowman of MLB.com reports. A month after losing out on Brantley, the Braves brought back the less exciting Nick Markakis on a one-year, $6MM deal to fill their vacancy in the corner outfield. For the second straight year, Markakis, Ender Inciarte and young superstar Ronald Acuna are in line to accrue the lion’s share of playing time among Braves outfielders. DECEMBER 19: The deal is now official. Brantley will receive a $2MM signing bonus and $15MM salaries in each year of the deal, per Rosenthal (via Twitter). DECEMBER 17, 6:01pm: The terms have been agreed to, per Jeff Passan of Yahoo Sports, who tweets that the deal will not come with any options. 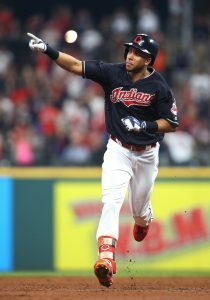 5:48pm: The Astros are “closing in” on a deal with veteran outfielder Michael Brantley, according to Ken Rosenthal of The Athletic (Twitter link). It’s expected to promise Brantley something in the range of two years and $32MM if completed, per the report. Entering the offseason, MLBTR graded Brantley the tenth-best free agent on the market. We predicted both he and Andrew McCutchen would secure three-year deals at $15MM average annual values. If today’s rumored pact goes through, though, McCutchen will have topped Brantley handily with his own three-year, $50MM agreement with the Phillies. For the ’Stros, this signing would deliver another veteran, left-handed-hitting corner outfield to a mix that already includes Josh Reddick. Both Brantley and Reddick are best with the platoon advantage, as is younger lefty-swinging outfielder Tony Kemp, which will make it interesting to see how the remainder of the roster is structured. Brantley is certainly a polished offensive piece. The 31-year-old slashed .309/.364/.468 last year and is among the game’s best pure hitters, as reflected in his lifetime .295 batting average. He’s good for fifteen to twenty long balls annually, which is useful but hardly elite for a corner outfielder, but makes up for any shortcomings in that regard by rarely striking out (10.7% career K rate). It certainly doesn’t hurt, either, that Brantley contributes in the running game. He swiped a dozen bags last year and has typically graded out as an above-average to excellent overall baserunner. In the field, Brantley has mostly drawn average marks for his work in left field. The largest demerit, clearly, involves health. Brantley was limited significantly in 2016 and 2017 owing to a string of injuries and related surgeries. That, perhaps, is the most significant point of distinction between Brantley and McCutchen. Even if the Houston club has its qualms about Brantley’s health outlook, it’ll have more flexibility than its peers to keep him rested and make the most of his skillset. Brantley can spend time at DH and perhaps even at first base, with the right-handed-hitting Yuli Gurriel potentially operating in a similar fashion but as a right-handed hitter. The broader slate of Houston stars definitely hues right-handed, so it’s not as if there’s an over-abundance of lefty bats generally. Still, as hinted above, this acquisition poses some interesting questions regarding the outfield mix, in particular. Brantley, Reddick, and Kemp aren’t the only pieces to consider, after all. In terms of righty bats, George Springer will continue to get regular time while Jake Marisnick could work as a platoon piece. That works well enough on its own, particularly if we assume Brantley will see action in other areas, but leaves two players (both left-handed hitters) unaccounted for. 25-year-old Derek Fisher struggled badly last year in the majors, but is still an intriguing talent. And Kyle Tucker is widely viewed as one of the better all-around prospects in baseball. The 21-year-old had a forgettable first attempt at the big leagues, but laid waste to Triple-A pitching in 2018 and could well be a major factor next season. It’s tough to know exactly how this’ll all shake out. For now, suffice to say, the Astros still have plenty of options. It’s not hard to imagine another significant bat fitting on the roster. And it’s also not difficult to picture a trade — whether a blockbuster or one of lesser significance — that’d make use of the backlog of lefty outfield bats. As the MLBTR team put together this year’s ranking of the top fifty free agents, it became clear that there were a few bunchings of multiple players in similar market positions. That’s apparent most obviously at the top, where Bryce Harper and Manny Machado are both trying to push the bounds of what a 26-year-old star can earn (albeit at different positions), and in the sub-elite tier of the relief market, where there are a variety of very good pitchers who possess at least one or two obvious limitations on value. In such situations, at some point, you’re forced to pick between the players — unless you take the easy way out (as I often do in our summer trade ranking list!) by grouping multiple players at one spot. Since Tim is made of sterner stuff than I, he was determined to put one ahead of the other — even if they ended up at the same predicted contract, as ultimately proved to be the case. I thought it’d be interesting to look back at some of our lengthy debate on the topic, and use it as a jumping-off point for a poll now that we’ve seen both players agree to deals. It was something of an upset that Tim decided to place Brantley first. After all, he led off that aforementioned email with a series of power arguments that’d make Cutch’s agents blush: McCutchen has more power, doesn’t have platoon issues, “is indestructible,” and is a more versatile defender. Pop, offensive balance, durability, flexibility … seemed like a closed case. Of course, there are counter-arguments in favor of Brantley, and Steve was happy to provide them in exhaustive detail. He summed up the main thrust of his viewpoint thusly: “Even if you look at their last three seasons, the only thing Cutch has on Brantley is volume of games played. Brantley has been a better hitter (same wRC+, but I’ll take the one that comes with a .300 average and half the strikeout rate) and a wildly better baserunner and defender.” With a slight age advantage to boot, there was quite a bit to like about Brantley. Ultimately, we predicted three-year, $45MM deals for both players. But that’s not how it has turned out. McCutchen secured a surprisingly hefty $50MM guarantee from the Phillies, who’ll bank on him as a steady and reliable (if not literally “indestructible”) asset for at least the next three seasons. That left us feeling optimistic about Brantley’s market, but word emerged this evening that he will not secure a third guaranteed season, reportedly agreeing to a two-year, $32MM-ish deal with the Astros. Though Houston wants to get the bat in the lineup as much as possible, it wasn’t forced to take on extra injury risk with another promised campaign in order to lure Brantley. Poll: Who Will Be The Next Top-10 Free Agent To Sign? A year ago on this date, only one of the top ten names on MLBTR’s list of the top 50 free agents of the 2017-18 offseason had decided on their team for the upcoming season. That player, in fact, wasn’t technically even a free agent at all — Masahiro Tanaka decided against opting out of his contract with the Yankees, thus avoiding the open market altogether. So, at least in comparison to the uniquely slow pace of last year’s offseason, we’ve already seen quite a bit of action on the free agent front this winter. After today’s news of Wilson Ramos’ deal with the Mets, seven of the top 25 players in this year’s top 50 ranking have already reached agreements, including three members of the top ten — Patrick Corbin (#3) signed with the Nationals, Nathan Eovaldi (#7) re-signed with the Red Sox, and J.A. Happ (#9) has reportedly agreed to rejoin the Yankees. There have been a lot of rumors swirling around the remaining seven players in our top ten, and it’s anyone guess as to which will be the next to sign. Let’s take a look at where things reportedly stand with each member of this septet…. Bryce Harper: With Harper and agent Scott Boras reportedly looking for nothing less than the biggest contract in baseball history, it would admittedly be surprising to see the former Nationals outfielder come off the board next. Harper, his wife Kayla, and Boras has reportedly held court with multiple teams in private meetings in Las Vegas, though the specific identities of these teams isn’t yet clear. Teams like the Dodgers, White Sox, Phillies, and Cardinals are known to have some level of interest in Harper’s services, while we’ve also heard some teams (like the Nationals and Yankees) seemingly count themselves out of “Harper’s Bazaar,” as Boras calls it. Speculative fits like the Cubs or Giants could also be out due to budget constraints. Boras has a penchant for waiting until deep into the offseason to find a satisfactory contract for his clients, so I’d guess that we won’t know the identity of Harper’s next team before 2018 is over. Manny Machado: The star infielder is set for in-person meetings with the White Sox, Yankees, Phillies, and at least one more team this week. It’s impossible to mention Machado’s free agency without also mentioning Harper, as the two share many of the same suitors and it seems highly unlikely that one team would be willing to spend big enough to add both to the same roster. Machado’s controversial history of overly-aggressive (or, as some might say, outright dirty) play has been a factor in his market, as was his October interview with The Athletic’s Ken Rosenthal about his admitted lack of maximum effort on some plays, and his admission that “I’m not the type of player that’s going to be ‘Johnny Hustle.’ ” While questions about Machado’s personality are legitimate, especially as he is looking for a record-breaking contract, it’s also possible some teams are using Machado’s interview as leverage to try and lower his price tag. We should know more about Machado’s status once these in-person meetings are complete, and if a team’s concerns about his work ethic are erased after a face-to-face meetings, it isn’t impossible that a signing could come before Christmas. Dallas Keuchel: Another Boras client, Keuchel might not have quite as long a wait on the market since there has already been something of a run on free agent starting pitching, as Corbin, Eovaldi, Happ, and Charlie Morton have all found new teams. On the trade front, there now seems to be less chance that the Indians could deal Corey Kluber or Trevor Bauer, while the Mets’ flurry of acquisitions have made a Noah Syndergaard trade less likely. Teams that missed out on these frontline arms may now be willing to meet Keuchel’s hefty asking price, and give up the draft pick compensation necessary to sign the lefty since he rejected the Astros’ qualifying offer. Teams like the Reds, Braves, Padres, Blue Jays, Phillies, and Nationals have all been reported to have varying levels of Keuchel’s services. Craig Kimbrel: Teams would also need to surrender a draft to sign Kimbrel since he turned down a QO from the Red Sox, and might also have to fork over the biggest contract ever given to a relief pitcher. A big initial ask is a common negotiating tactic, of course, though even at a lower amount, Kimbrel and his representatives clearly see him worthy of a deal akin to Aroldis Chapman/Kenley Jansen money. The Cardinals and Phillies have both been linked to Kimbrel, and the Red Sox may or may not still be in on their former closer. The recent signings of Jeurys Familiar and Joe Kelly indicate that the bullpen market is starting to move, though Kimbrel is obviously in a higher financial level than those types of contracts. Yasmani Grandal: The Angels, Astros, and White Sox have all been linked to Grandal, though Houston might be out of the catching market after signing Robinson Chirinos. Chicago also recently added James McCann, though that isn’t quite as significant an obstacle to a future move for Grandal, should the Sox deal Welington Castillo and then install Grandal as the starter ahead of McCann. Even before Ramos became a Met, Grandal’s biggest competition has likely been J.T. Realmuto, though teams have thus far balked at meeting the Marlins’ large asking price in a trade. The Mets are one team that decided to simply sign a quality catcher rather than trade for Realmuto, and another backstop-needy team could do the same by inking Grandal, though he’s another QO free agent. There has been some indication that the Marlins could decide by Christmas whether to keep or trade Realmuto, so once that decision is made either way, Grandal’s market will gain some clarity. A.J. Pollock: Here’s another player who turned down a qualifying offer, and another with a pricey contract demand (reportedly in the $80MM range). The Mets, Braves, Reds, and Astros are known to have interest in Pollock, plus with so many trade rumors swirling around other outfielders, more suitors could easily emerge as more outfield spots are created. Michael Brantley: Machado and Brantley are the only two of these seven players who don’t have QO compensation tied to their services, which gives Brantley in particular a boost as he tests free agency for the first time in his career. Furthermore, Brantley also appears willing to try playing first base, which adds a bit of extra versatility to his repertoire for any interested teams, even if Brantley would still primarily play as an outfielder. What could dampen enthusiasm, however, is Brantley’s initial asking price, reportedly something akin to a $20MM average annual value over three years. We’ve already heard that the Braves aren’t meeting that price, and other Brantley suitors like the Astros, Cardinals, and White Sox are also sure to aim for a lower number. GM Billy Eppler reiterated the Angels’ plan to build upon the growth of their farm system in 2018, per Jeff Fletcher of the Orange County Register. The plan is clear: build a Top-5 system, and then use their financial muscle to supplement (Fangraphs pegs their current farm as the 12th most valuable system in the league). The Angels aren’t out on all trade candidates, however, as Eppler makes an important distinction in stating that they haven’t traded anyone “impactful” from their farm. Deals that don’t require surrendering top prospects remain theoretically in play, though such a strategy likely won’t yield any of the sexier names being bandied about these winter meetings, such as Corey Kluber, Trevor Bauer or J.T. Realmuto. Fletcher suggests Sonny Gray, Francisco Cervelli and Julio Teheran as the types of trade targets that might be within their reach. These types of targets are likely better fits for their financial outlook as well. Behind the leadership of President of Baseball Ops Farhan Zaidi, the San Francisco Giants will open their playbook to more modern pitching strategies next season, per Kerry Crowley of the Mercury News. A staff comprised of injury-prone veterans like Jeff Samardzija and up-and-comers potentially on innings limits (Dereck Rodriguez, Andrew Suarez) may lead manager Bruce Bochy to employ the Opener strategy or, as Zaidi puts it, “different forms of pitching staff constructions” in 2019. Bochy is a noted traditionalist in the dugout, but in lieu of finding five starters capable of pitching 200 innings, he and Zaidi will be forced to adapt by building a pitching strategy tailored to their current personnel. The Giants may still add to their stable of arms, but outfield is far-and-away the winter priority at this time, and they feel pretty good about where how the bullpen is currently constructed. That said, there has been considerably trade interest in Will Smith and Tony Watson, so the near-term outlook could change if a can’t-miss deal presents itself. Thus far, Zaidi is adhering to a patient approach in his first winter at the helm, which makes sense given the financial and talent makeup of the San Francisco roster. The Braves lost out to division rival Philadelphia in the bidding for Andrew McCutchen, though Atlanta was never a serious contender once the price rose to include a third season, per MLB.com’s Mark Bowman. GM Alex Anthopoulos is perfectly content to wait until the new year before making any more additions, should that be what the market dictates. In the case of McCutchen, for instance, the Braves viewed the former Pirates outfielder as comparable to Carlos Gonzalez or Nick Markakis – corner bats that add value when secured on a shorter-term deal. They’ve vetted most outfielders available, and a bigger name like Michael Brantley is still in play for Atlanta, but the Braves aren’t eager to overpay for expediency at this stage of the winter. This mirrors the situation they faced earlier in the winter when they looked into possibly acquiring J.T. Realmuto. After feeling like the Marlins wouldn’t deal within the division, they moved on to free agent target Brian McCann. While the intra-division embargo seems to have passed, the Braves will not be reengaging the Marlins, as they secured a catching tandem they like, in McCann and Tyler Flowers, at a price they like. Continuing to cast a wide net in their search for upgrades, the White Sox “have checked in on” outfielder Michael Brantley, Jayson Stark of The Athletic writes. To this point, the 31-year-old Brantley has spent his entire career as a member of the AL Central rival Indians, though he figures to be too pricey for the Tribe this offseason. Based on his career to date, Brantley would be a substantial upgrade for a Chicago team that received horrid production from its cast of outfielders in 2018. Speaking of the White Sox, they’re among the teams that will meet with superstar Manny Machado, per Jon Heyman of Fancred. The Yankees and Phillies, two other unsurprising suitors, will also sit down with the 26-year-old infielder, Heyman adds. In total, Machado will visit four clubs in the coming days, Buster Olney of ESPN hears. The Brewers met yesterday with free agent backstop Wilson Ramos and his representatives, MLB.com’s Adam McCalvy reports. Positive vibes seem to have emerged from the sit-down on both sides, which could perhaps spur some momentum toward a match. The Mets met with Ramos today, as Joel Sherman of the New York Post was among those to tweet, though the New York club is seemingly pushing on other fronts first. Shortstop Troy Tulowitzki, who surprisingly hit the open market Tuesday when the Blue Jays released him, may be a fit for the Athletics as a second baseman, Susan Slusser of the San Francisco Chronicle observes. While Tulowitzki would like to remain at short, he “would be willing to change positions,” his agent, Paul Cohen, told Slusser on Tuesday. He’s also a Bay Area native who, according to Cohen, “would have a lot of interest” in returning there. Meantime, the shortstop-needy Tigers will consider Tulo, but signing him is “a low probability,” GM Al Avila said (via Jason Beck of MLB.com). Regardless, the Tigers will add a shortstop prior to next season, Avila declared (via Evan Woodbery of MLive.com). The Nationals want an everyday second baseman, and free agent DJ LeMahieu tops their list, Bob Nightengale of USA Today relays. General manager Mike Rizzo revealed last week that the Nationals had contacted LeMahieu’s camp. Eight teams are interested in infielder Wilmer Flores, Heyman tweets. The 27-year-old Flores was an above-average offensive player with the Mets in each of the past three seasons, though he did most of his damage against lefties and dealt with injury issues. The Mets non-tendered Flores last month. Infielder Carlos Asuaje, whom the Rangers claimed off waivers from the Padres on Monday, is drawing interest from Japan, Heyman reports. It’s unclear, however, whether Texas would enable Asuaje to leave. The Rangers would probably need financial compensation for that to happen, Heyman posits. The focus of the corner outfield market remains on Bryce Harper, of course, but there are a few other significant players available. Regarding Harper, there’s not much in the way of news, though Joel Sherman of the New York Post looks at how he could conceivably end up falling to the Dodgers, who are said to be pursuing high-end assets. Here, though, we’ll focus in on the next-best assets on the market. The Phillies are “showing significant interest” in Andrew McCutchen, according to Jim Salisbury of NBC Sports Philly, representing a new connection for the former superstar. Cutch is nowhere near the player he once was, but that easy characterization can tend to obscure how good he still is. Meanwhile, the Astros are said to be in on another top corner piece. Per Jon Morosi of MLB.com, via Twitter, the Houston organization has interest in Michael Brantley. That’s a bit of a surprising match, if only because the team is still paying top dollar to another veteran lefty corner outfielder in Josh Reddick, but perhaps Brantley could also spend some time at first base to increase his versatility. Earlier in the offseason, both McCutchen and Brantley were connected to the ’Stros — though mostly as part of a group of significant free agents. The Houston plans have remained hard to figure to this point, with the team’s intentions regarding top prospect Kyle Tucker potentially weighing in their assessment of new acquisition targets. MLBTR predicted that both McCutchen and Brantley would secure three-year, $45MM pacts. There’s no real clarity as of yet as to whether the market will support those or greater values. While fans, pundits and other teams all try to parse the Mariners’ flurry of offseason moves, Seattle GM Jerry Dipoto chatted with Fancred’s Jon Heyman and made a few definitive statements. Dipoto went on the record to indicate that the Mariners won’t be adding star right fielder Mitch Haniger to any trades as a means of persuading another team to take on a bad contract, nor will Seattle give any consideration to the thought of releasing Felix Hernandez this offseason, as some have speculated. Dipoto says there’s “zero” chance the Mariners would release King Felix this winter, adding that “out of respect to the career he’s had he deserves the opportunity” to right the ship in 2019. Heyman suggests that any of Ryon Healy, Carlos Santana, Jay Bruce, Anthony Swarzak or Mike Leake could be the next to go as the Mariners look to further reshape the organization. Michael Brantley’s agents are telling interested teams that the left fielder is willing to play some first base next season, tweets Ken Rosenthal of The Athletic. Brantley hasn’t played the position since a brief crash course there in the minors back in ’08, and no club is looking at him as a regular at first, Rosenthal notes. That said, Brantley’s willingness to play a new position won’t make him any less appealing to interested parties. One thing that could push suitors away, however, would be his asking price. David O’Brien of The Athletic suggests that Brantley could be looking for a Carlos Santana-esque salary of $20MM over a three-year term — a lofty ask for a player with his injury history. The 31-year-old was undeniably terrific at the plate in 2018, as he typically is when healthy, but shoulder and ankle injuries wiped out most of his 2016-17 seasons. O’Brien further tweets that the Braves might be willing to go to three years for Brantley, but not at an annual value anywhere near that rate. Max Kepler’s name is commonly brought up when rival clubs call the Twins about potential trades, per Dan Hayes of The Athletic (subscription required). That’s been the case for more than a year now, Hayes notes, reporting that Kepler was one of the numerous pieces the Rays sought last winter when chatting Chris Archer with Minnesota. But the Twins still believe that Kepler, an excellent outfielder defender who has displayed some power but not authored a genuine breakout season just yet, is capable of taking his game to a new level. As chief baseball officer Derek Falvey explains to Hayes, it’s tough to judge Kepler’s development as one would with a traditional prospect given that he was born in Berlin, Germany and has still accrued fewer at-bats than many players who are several years younger but come from places where baseball is commonly played year-round. A strong right fielder who can play center as well, Kepler won’t turn 26 until February and still has four years of team control remaining. The Rangers are doing their homework on Japanese lefty Yusei Kikuchi, GM Jon Daniels tells T.R. Sullivan of MLB.com. Daniels declined to comment on the Rangers’ specific level of interest in Kikuchi but suggested that his scouts are “obviously” aware of the Seibu Lions ace, who was posted for MLB clubs earlier this week. While early rumors have suggested that Kikuchi may prefer a West Coast club, the Rangers are no strangers to pursuing high-profile NPB talent, as evidenced by their acquisition of Yu Darvish several years ago (admittedly under a different posting system). While Texas isn’t in position to contend next season, the 27-year-old Kikuchi is a logical target even for non-contending clubs, as his relative youth means that he could still be in his prime when a rebuilding club turns the corner. And, given Texas’ utter dearth of pitching, it’s only logical that they’d have interest in a youthful option with a fair bit of upside. It’s unclear whether the Diamondbacks will trade their franchise player, first baseman Paul Goldschmidt, though Buster Olney of ESPN (subscription required) hears from rival evaluators that they are “intent” on dealing the 31-year-old. While Goldschmidt has consistently been one of the majors’ best players during his career, it’s unlikely the Diamondbacks would receive a significant haul in exchange for his final year of team control, observes Olney, who notes that most contenders aren’t seeking a first baseman. But St. Louis and Houston continue to show a good amount of interest in Goldschmidt, per Olney, which jibes with a previous report from Ken Rosenthal of The Athletic. Olney adds that rival clubs believe the Astros have seemingly tried to move young right-hander J.B. Bukauskas, their eighth-ranked prospect at MLB.com, in trade talks. Similarly, the Yankees were “pushing” left-handed pitching prospect Justus Sheffield in Goldschmidt discussions, Olney reports. Sheffield’s no longer in the picture for New York, though, as it traded him to Seattle this week in a deal for lefty James Paxton. Back to Houston, which has been shopping near the top of the market for free-agent outfielders, according to Olney, who lists A.J. Pollock, Andrew McCutchen and Michael Brantley among their targets. Unless the Astros deem soon-to-be 22-year-old prospect Kyle Tucker ready for a full-time role, they have an opening in the outfield, where George Springer and Josh Reddick are their only obvious starters. Signing Pollock, a center fielder, would enable them to move Springer back to a corner after he spent the majority of 2017-18 in center. Pollock’s likely to rake in the biggest payday of the trio, though; further, given that Pollock comes with a qualifying offer attached, adding him would also cost the Astros their second-highest draft pick in 2019 and $500K in international pool space. The Mariners have been the most active team on the trade market this offseason, having already dealt Paxton and catcher Mike Zunino. With aggressive general manager Jerry Dipoto at the helm and the M’s desire to take a step back in 2019, more trades involving their veterans are likely on the way. However, it continues to look as though the Mariners will keep their two top players, outfielder Mitch Haniger and closer Edwin Diaz. It would take overwhelming offers for the Mariners to seriously consider moving either Haniger or Diaz, Olney tweets. Both stars are controllable for the next four years, including another pre-arbitration season apiece. Always active on the offseason trade market, the Dodgers have been having “lots” of discussions with the Indians regarding a variety of potential scenarios, tweets Ken Rosenthal of The Athletic. Los Angeles unsurprisingly is intrigued by Cleveland’s pitching — as all teams would be — and Rosenthal notes that catcher Yan Gomes could make sense there as well. Conversely, Cleveland has a significant need in the outfield — an area of depth for Los Angeles. There’s no indication that there’s anything especially close to fruition between the two sides, and Rosenthal even notes that both clubs are chatting with several other teams. The Dodgers, for instance, are one of the many clubs with interest in Marlins star J.T. Realmuto. Carlos Santana’s name has come up on the rumor mill early in the offseason, but Fancred’s Jon Heyman tweets that the Phillies also have relievers Pat Neshek and Tommy Hunter “on the block.” Reports since the team’s late-season collapse have indicated that the Phillies will be open to trading just about any player other than Aaron Nola and Rhys Hoskins, so it’s only reasonable that they’d be open to moving either relatively high-priced setup man. Neshek is owed $7.75MM and has a $750K buyout on an option for the 2020 season, while Hunter is owed $9MM and will be a free agent next offseason. The Twins checked in on Diamondbacks first baseman Paul Goldschmidt, tweets Jon Morosi of MLB.com, though the report describes the talks as “preliminary.” While Minnesota has an obvious opening at first base following the retirement of Joe Mauer, though, Dan Hayes of The Athletic downplays the possibility of a Goldschmidt pursuit for Minnesota (Twitter link); Hayes notes that the Twins did make some form of inquiry but adds that this “doesn’t appear to be a path the Twins will go down.” The fit is obvious, but Arizona’s asking price on the perennial MVP candidate will be quite high, and he’s a free agent after the 2019 season. Morosi also tweets that the Cardinals have “maintain[ed] interest” in free-agent outfielder Michael Brantley, although Derrick Goold of the St. Louis Post-Dispatch suggests (via Twitter) that Brantley isn’t a top priority for St. Louis. Per Goold, the Cards would need to miss out on more preferable targets and perhaps move other pieces of the roster before embarking on a legitimate pursuit of the 31-year-old. Brantley is coming off a strong season in which he hit .309/.364/.468 with 17 homers, 36 doubles and 12 steals, but the Cards do have in-house alternatives and are known to be looking at bigger fish (i.e. Bryce Harper).